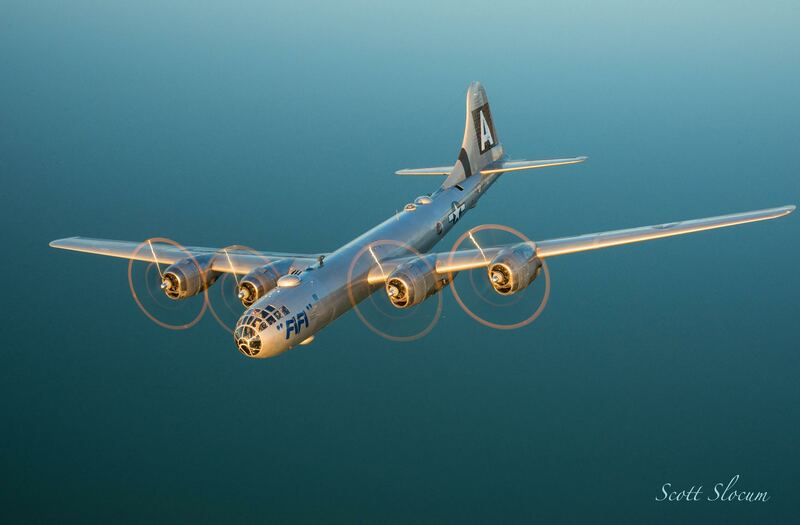 PRESS RELEASE – Residents of Sarasota and the surrounding community will have an opportunity to get their hands on history March 2 through 6 when the Commemorative Air Force (CAF) flies into Sarasota-Bradenton airport for a 5 day event. Aircraft include the CAF’s iconic B-29 Superfortress, a P-51 Mustang, a C-45 Expeditor, a T-6 Texan, a PT-13 Stearman and a T-34 Mentor. Visitors will be able to see the aircraft up close, watch them fly, and also purchase rides. 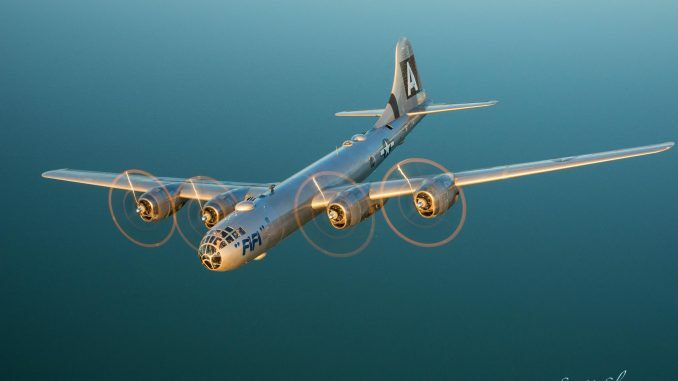 The Boeing B-29 Superfortress, first flown in 1942, began active service in 1944 and is perhaps best known as the aircraft whose missions over Japan helped bring about the end of World War II. It was designed as a replacement for the older B-17s and B-24s, with longer range and greater bomb loads. The B-29 was also used in the Korean War in the early 1950s and was a staple of the U.S. Air Force until the late 1950s. The Commemorative Air Force (CAF) Red Tail Squadron, America’s tribute to the Tuskegee Airmen, is also bringing its RISE ABOVE Traveling Exhibit mobile theater to the event. The exciting RISE ABOVE Traveling Exhibit is a fully functional movie theater featuring the original short film “Rise Above,” designed to take the audience on a journey through time – and then through the air. The theater’s dynamic 160-degree panoramic screen creates the sensation of being in the cockpit soaring above the clouds in the P-51C Mustang, the signature aircraft of the Tuskegee Airmen in WWII. It is much more than a history lesson; the Tuskegee Airmen’s ability to triumph over adversity serves as a means to inspire others to RISE ABOVE obstacles in their own lives and achieve their goals. The admission cost is $10 for adults and $5 for children age 11 through 17. Children age 10 and under are free. The airplanes will be on static display when they are not flying. Entrance to the RISE ABOVE Traveling Exhibit is FREE with admission. Ride prices range from $75 to $1895. Advance ride reservations may be made at www.AirPowerTour.org where additional information about the tour stop may also be found. 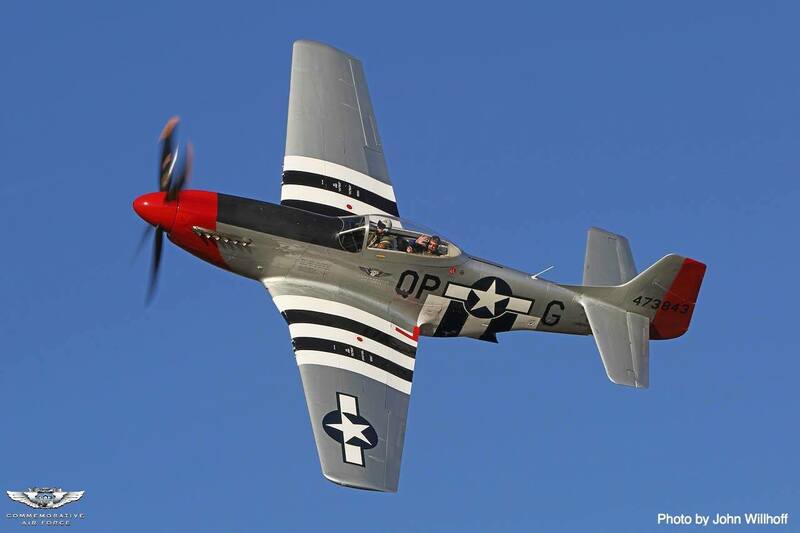 Aircraft will be on display at Sarasota Bradenton Airport, Rectrix Aerodrome Center, 1234 Clyde Jones Road in Sarasota Wednesday, March 2 through Sunday, March 6 from 9:00 a.m. to 5:00 p.m. The Commemorative Air Force honors the men and women who built, maintained and flew in these airplanes during World War II. The organization believes that is best accomplished by maintaining the airplanes in flying condition; taking the airplanes to the people allowing them to experience the sight and sound of the aircraft in flight. Collecting, restoring and flying vintage historical aircraft for more than half a century, the Commemorative Air Force ranks as one of the largest private air forces in the world. The CAF is dedicated to Honoring American Military Aviation through flight, exhibition and remembrance. A non-profit educational association, the CAF has more than 13,000 members and a fleet of over 165 airplanes distributed throughout the country to 79 units located in 25 states for care and operation. For more information, visit www.commemorativeairforce.org. I served as radio op on the 29 with the 307 th bomb group on Okinawa June 1952- Jan 1953. Stopped in at CAF Midland Tx. About 12 years ago. Fifi was in the hanger. I was allowed to sit in the AC chair with my head out the window as my wife took my pic. Now I have that pic and the one taken in the same position on my aircraft September 1952. I Flew 29 combat missions over Korea. What a great aircraft and and crew I served with.